My favourite Christmas shopping places are the Christmas bazaars found in churches and community centres from now until Christmas. These places are full of unique hand-made goods, seasonal bake goods, and good prices. Proceeds usually benefit the organizations. You can frequently find the dates and times on bulletin boards outside these institutions, listed in neighbourhood newspapers or on websites. They also provide good opportunities to meet people from different cultures. Among those that sound interesting — and there are many more — have been the Ukrainian Kosa Kolektiv Winter Folk Fair, St Vladimir Institute, 620 Spadina Avenue, www.kosakolektiv.com. Sunday, December 13. Another of my favourites has been the Ukrainian St Demetrius Christmas Bazaar at 135 La Rose Avenue (Friday, November 27, 11am-8pm and November 28, 10am-3pm). St. Demetrius Church (st.demetrius@sympatico.ca). For our 2013 blog on that one: http://bit.ly/1P4bHkK. The Christmas Craft Sale, Native Canadian Centre of Toronto, 16 Spadina Rd, Food, 50/50 draws and lots more. Saturday, December 5, 10am – 4pm. http://bit.ly/1HkFuh9. This is the NCC’s biggest sale of the year. The Annual Bazaar, Saturday, November 14 – 12.30pm to 4.30pm – Toronto Buddhist Church,1011 Sheppard Avenue West. 416-534–4302. http://bit.ly/1HkDDc8. I haven’t had time to visit it for five years. My blog from then: https://www.torontomulticulturalcalendar.com/2010/11/15/333/. Swansea Community Recreation Centre, 15 Waller Ave. 416-392-6796. Saturday, November 21. 10-3pm. Expect 70 vendors selling jewellery, Christmas decoration, candles, cookies, knitted goods, handmade chocolate, cheeses, toys, greeting cards, etc. www.swanseacraftsale.com. Facebook: https://www.facebook.com/swanseacraftandbakesale. Most of these bazaars have free admission. The Swansea bazaar charge $2 for adults with proceeds to charity. The Christmas Market at the Distillery District November 20 to December 20 has free admission Tuesday to Fridays, $5 on Saturday and Sundays. It is closed on Mondays. It is inspired by European Christmas Markets and has a wide variety of stalls and usually performers from many cultures. 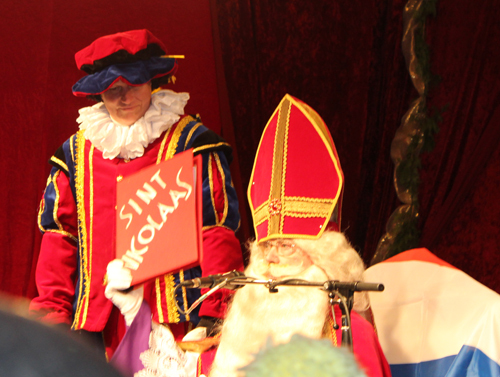 St. Nicholas (Sint Nikolaas), the Dutch Santa Claus, will appear on his white horse at 6:30pm on Wednesday, December 2: http://bit.ly/1MrGdhM. For more information: http://www.torontochristmasmarket.com. Please let us know about other interesting and inexpensive Christmas events in multicultural Toronto. 2. Ten Thousand Villages fair: no longer in the GTA, but in surrounding communities like Orillia, Barrie: http://www.tenthousandvillages.ca/festival.